A sharp and funny comedy about a group of African American students as they navigate campus life and racial boundaries at a predominantly white college. 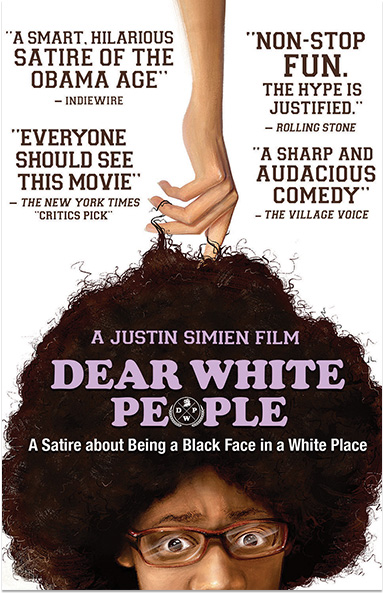 DEAR WHITE PEOPLE Motion Picture Artwork © 2015 Roadside Attractions LLC. All rights reserved.